The United States recognizes Beijing's authority over Taiwan, but continues to maintain economic and cultural relations with the island via the American Institute in Taiwan. 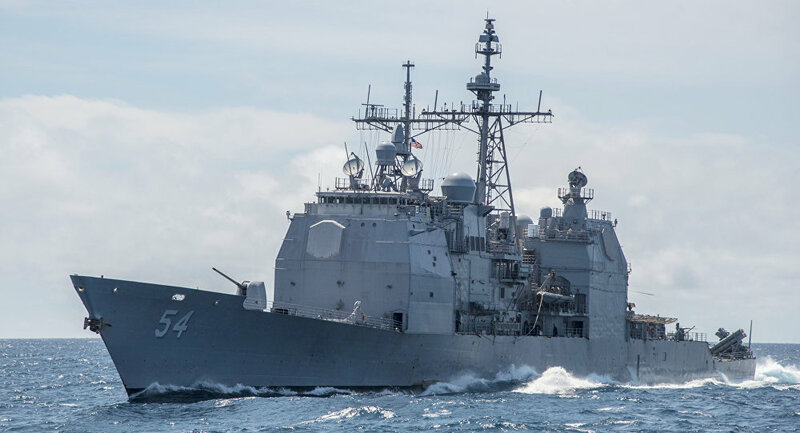 Washington’s plans to send warships sailing through the Taiwan Strait again are fraught with exacerbating what are already tense relations with China, Reuters reported. The agency quoted US officials as saying that the mission was aimed at ensuring free passage through the strategic waterway. The report comes just days after Beijing expressed concern over the presence of a US vessel in the Taiwanese port of Kaohsiung and called on Washington and Taipei to stop all military contacts. Coming shortly after a similar passage by US Navy ships in international waters of the Strait in July, the move could signal Washington’s continued support for Taiwan, which China views as its province and has been ramping up pressure to assert its sovereignty over the island. The US officials, who were speaking on condition of anonymity, did not mention the exact timing of the planned event. During this week’s talks with US Defense Secretary Jim Mattis in Singapore on the sidelines of the Association of Southeast Asian Nations Defense Ministers’ Meeting Plus (ADMM Plus) Beijing reiterated its concerns about Washington’s policy regarding the self-ruled island. Washington has been trying to explain to Beijing that its policies toward Taiwan are unchanged and Mattis made this clear when meeting with his Chinese counterpart Wei Fenghe on Thursday during the Asian security forum. Even though the US has no formal ties with Taiwan, it is legally bound to help the island-state defend itself and is the main source of arms to Taipei having sold it over $15 billion worth of weaponry since 2010. Taiwan's leader Tsai Ing-wen said last week the island will increase its defense budget every year to ensure it can defend its sovereignty, including resuming domestic development of advanced training aircraft and submarines. Ties between the US and Taiwan, which have strengthened under President Donald Trump, have become a major irritant in Washington’s relations with Beijing. Trump was the first president since Jimmy Carter to directly speak with the Taiwanese president, and last year, the US Congress passed the 2018 National Defense Authorization Act which authorized naval cooperation between the US and Taiwanese militaries.